Work for Avaya IP Office? "I cannot be efficient without great communication tools"
This software is so very versatile. There are so many great features but some do standout above the rest. Live call recording, Name to number records and the auto attendant. There are not too many features to be displeased with. Avaya has so many strong features, but the lack of being able to adjust some call settings for the personal user need to addressed. This communication tool will tip the advantage of reaching service goals to your favor. Switch if you dont have Avaya. This allows staff and teams to stay connected and be efficient with this great communication tool. There are zero to no missed call or conversations. This solves issues with timely and quicker service the greatest. "Avaya IP Office - Enabling a mobile workforce"
This sends voicemails to your email. This feature is very useful for offices that want to enable employees to be mobile. With government users, this feature is essential to the tele-working workforce. The Headset is difficult to enable. User in my office usually have to enlist the help of the IT office. Users should be able to plug and play for headsets. If your company has the resources to procure Avaya IP Office, I would highly recommend this software. This enables a mobile workforce without requiring users to go through in-depth training for use. The challenge of enabling a mobile workforce are much easier using Avaya IP Office. Communications are much better with a system that enables you to receive calls and manage voicemail without having to be physically near your desk phone. The benefit of having voicemail forwarded to your email allows you to listen to your voicemail directly on your computer. "Sometimes it likes you, sometimes it doesnt"
I like how easy it is to login to the system. Our program is constantly resetting itself. If you don't use it within 20 minutes it times out and resets. Be prepared for it to freeze alot. I've been working with this program for nearly 5 years and all it does is reset itself over and over between freezes. With the IP Office you can setup a phones system from scratch in just about a few minutes. Major system changes requires a reboot, it has been getting less with every update but still every now and then you will need to reboot. We where able to collaborate with other companies in different regions using the unified communication tools IP Office has to offer. Avaya is a great system that was used in my most recent work experience as a senior collections specialist at Target. It was the system that was used to make phone calls and take phone calls from guests. It was efficient. I like that it enables me to work from home when I need to. It can be hard to navigate settings and troubleshoot issues. When we are unable to get to the office for a variety of reasons, Avaya allows us to still accomplish work and be there for our customers. The fact that you can use the intercom to try to reach people is great. The side phone screen is a great feature for quick dial. It is truly an outdated system with glitches. The time does not keep up properly and it is easily having issues that we can't seem to fix. Mainly just being able to have customers call in and directing them to their desired party or voicemail. "Avaya IP Office very easy to use!" Ease of use. All the employees I work with love the product & its ease of use! I love how it requires little set up and little prior knowledge! Not many programs are this easy to use! Would definitively recommend!!! Very easy to use with minimal efforts!! Being able to work mobile being hands free from landline phones. This system allows our company to have at home agents. Sometimes the system would close out by itself on occasions. Being able to work from home. This helps when their is increment weather. It allows me to assign calls to my agents (im working in a call center), we have french, english, spanish and several other languages. In order to avoir French calls to be taken by a spanish agent i use this software as well as Avaya Phones. Its a good gift for my business. Sometimes the phones restart themselves due to lost of connectivity. Getting call directly from Europe to here Philippines. "Great system for E-commerce Use"
I like that the system is straight forward and very easy to use. Not much to dislike about it the Avaya IP. Yes, I highly recommend this system. The system allows communication with customers over IP and it's benefits is that companies saves money by not having to have a phone line for there employees with landline phone providers. "Good product does have it's problems "
I like that it tracks everything. When it doesn't have error messages I can login no problem. It is small and I like that you can close out of it and have it running in the background. It has a lot of system issues. I have to call IT about once a week to have them help me. It does not sunc well with other programs. Log in and maintain of phone systems to ensure reps are accurately taking calls and are able to utilize the phone systems. User interface is confusing for first time users — it’s not always obvious where to go or what to click when you need to make an unusual type of transfer. I use this program in a call center environment. I’ve found the broad range of functions make it a good candidate for this purpose, but there might be a less confusing options for non-power users. "good IP office, everything as expected"
sound quality might be below par. my phone doesn't have "mute" button neither option to connect headset. Base model is very basic, it doesn't have many options including "mute" or transferring calls. Conference room systems are pretty good and quality is much better and suitable for a larger forum conversation. Complete very stable reliable reliable system - once it’s set up and running. Complicated to administer. Difficult to troubleshoot. Expensive service/support options. Complete office telephony solution/PRI phone service. Nothing. So far from what I know of the product it’s easy to use. The program was always reliable and never crashed. It started up very quickly. When the program went down it made Firefox not work as well. 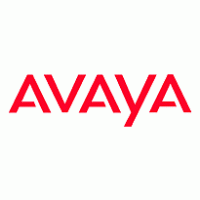 Avaya was easy to use and I had little complications with it. There is not much I disliked, I think the worse thing that happened was it froze up one time. Avaya is how we connected with all clients. I have found that it is a good way that provides information to us easily, and the ease of use is great. Avaya IP Office is an administration program used to administer your users IP phones. It is easy to administer and easy to use. Avaya IP Office doesn't let you run reports. which would be very handy to use if you needed to find out who is assigned license. Administrating our users IP phones. "On my phone application "
It's a very good software. Very reliable and much easier to use than previous softwares. Very minimal issues. Does occasionally drop and requires a reboot. That's about it. dated design and interface. Not easily set up by layman. "Great for large office use"
Ease of use and great for conference calls. Sometimes the system would go down periodically. Conference calls, cold calling, international calls. * We monitor all Avaya IP Office reviews to prevent fraudulent reviews and keep review quality high. We do not post reviews by company employees or direct competitors. Validated reviews require the user to submit a screenshot of the product containing their user ID, in order to verify a user is an actual user of the product.